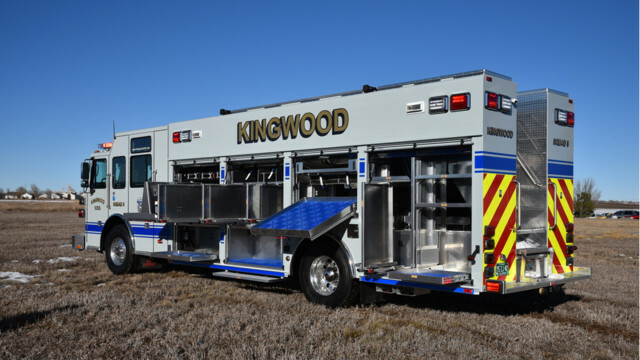 The Kingwood, W.Va., Volunteer Fire Department has taken delivery of a heavy rescue built by SVI Trucks on a Sutphen cab and chassis. The unit is powered by a Cummins ISX12 500-hp engine and an Allison 4000EVS transmission. It has an Onan 30,000-watt generator, a Whelen LED light package, OnScene LED compartment lights, R.O.M Roll-up doors, OnScene slide-out trays, and a Command Light light tower. Go here for the original post by Firehouse News.